We are pleased to share with you this article by Wevonneda Minis pubished 15 November 2010 in the Charleston Post and Courier. It talks about budgeting for your 2011 genealogical expenses and includes two items dear to us at NGS – national dues and attending a national conference. With that in mind remember that early bird registration for the National Genealogical Society 2011 Family History Conference (Charleston) saves you $35 and is now open. Early bird registration will end 11 March 2011. Remember that NGS members also receive a $35 discount. What a great way to save as much as $70 as you plan your 2011 genealogy budget! Read further for a great perspective on what genealogy expenses you might experience in 2011. It's a good idea to sketch a rough draft of next year's genealogy budget before January rolls around. Having an idea of what you will need to spend could help your genealogy dollars last throughout 2011. Besides, it's more fun to plan for events such as workshops and conferences when you don't have to double-check the deadline for cancellations and refunds. So far, my budget includes dues for genealogical associations and research organizations; subscriptions to general and specialty genealogical Internet sites; fees and expenses for workshops and conferences; tuition and expenses for a genealogical institute; the cost of trips to Georgia and South Carolina archives; and a little extra for some new must-have gadgets. While thinking about my projected expenses, it occurred to me that while there is a tremendous amount of information to help budding genealogists research, there is hardly any information to inform them of what it can cost to be a genealogist. Of course, factors such as how many generations back a genealogist researches, the kinds of sources being accessed, and how much free stuff is used, means costs can vary quite a bit among individuals. Genealogists might consider items on the list below when someone offers a gift; when there is occasion to barter a service; or when unexpected funds are received. --Research guides: General, ethnic and specialty (such as courthouse), $20. --Genealogical society memberships: Local and state, $20; national, $60. --Online genealogy magazines: Many are free; others, $15. --Organizing logs, sheets and charts: Internet downloads, free; basic genealogy software, $29. --Workshops (registration, travel, room and board): State $250; local, under $10. --Conferences (registration, travel, room and board): National, $175. --Institutes (registration, travel, room and board): Five days, $1,200. --Technology: Computer, $400; desk-top scanner, $100; hand-held scanner, $125; and Internet access, $6 a month. --Access to Internet research sites: FamilySearch.org and USGenWeb, free; commercial $60. --Magnifiers: Pocket with light, $4; hand-held $9; hands-free $18; and dome, $30. --Professional help: Genealogist, $45 per hour, plus expenses. --Ordered documents: Family History Library film, $7; courthouse copies (10 pages), $25. --Vital records: Certified birth, death and marriage copies, $15. 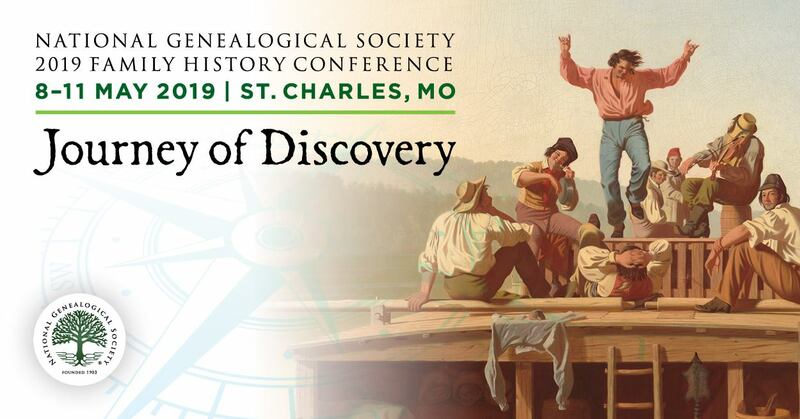 Early bird registration for "Where the Past is Still Present," the National Genealogical Society 2011 Family History Conference in Charleston, is set for Dec. 1-March 11. NGS members who register to attend all four days of the May 11-14 conference pay $175, nonmembers pay $210 and both receive a CD syllabus. All attendees who register after the early bird deadline should add $35 for four-day registrations. Single-day, early bird registrations are $95 through March 11, $100 afterward. A CD syllabus is included. Attendees who register during the early bird period can order a printed syllabus for an additional $20. For more information, visit http://www.ngsgenealogy.org/. Reach Wevonneda Minis at 937-5705 or [email protected].